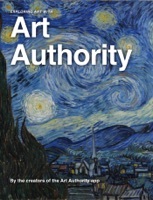 The Art Authority app series provides you with a fun, yet powerful, means of exploring the world of art and art history. This book is a companion to using Art Authority. We describe the major periods and movements that the apps cover, and show a few works from each period. As you read this book, you can see the progression of style and subject matter through the millennia, and get a sense of the vastness of art history. If you find a period, movement or artist that catches your imagination, you can explore in much greater depth with the Art Authority app series; or, if while using an Art Authority app, you want a broader, alternate view of an artist or period, you can jump back to this book. Specifics of the apps are covered in the last chapter.